President Donald Trump has railed against a deal to curb Iran’s nuclear program, but officials say that far from scrapping it, he is considering kicking the decision to Congress. 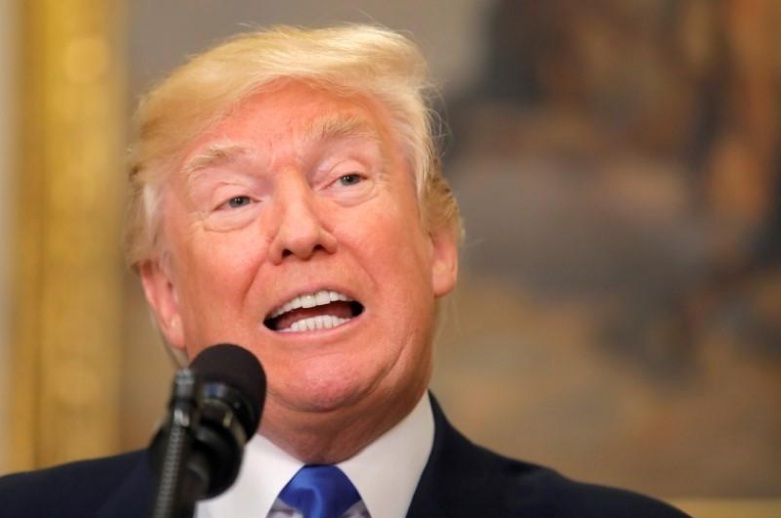 Ahead of an October 15 deadline, several officials familiar with White House deliberations told AFP Trump has made it clear he does not want to certify Iran’s compliance with the accord. The 2015-era Obama agreement offered Tehran relief from punitive economic sanctions, in return for limits to uranium enrichment and intrusive inspections. Every 90 days Trump must decide whether the Iran is living up to its end of the bargain, something that has already caused him political pain on two occasions. The Trump administration has publicly accused Iran of violating the “spirit” of the accord — known as the JCPOA –although some officials privately admit there is a thin line between testing the limits and a material breach. But Republicans are under domestic political pressure to fulfil campaign and donor promises to scrap the accord. Trump has called the deal an “embarrassment to the United States” and had urged allies and fellow signatories in London, Paris and Berlin to renegotiate it, something they are unwilling to do. But now a middle path is being explored, which would make Trump’s opposition clear, but stop short of scrapping the deal outright and perhaps clear the 90-day-review off his desk. Under the plan, Trump could find Iran in breach or –less provocatively — refuse to certify Tehran’s compliance, giving Congress 60 days to decide whether to impose sanctions. The issue has prompted fierce debate inside the administration, and with this mercurial president, anything is still possible between now and the deadline. But “it seems like he was leaning that way,” said one official, echoing the accounts of others who refused to speak on the record, because of the sensitivity of the subject. Hawks are urging confrontation with Iran, while others warn of inflaming the Middle East and seriously damage ties with European allies who consider the agreement in their vital national interest. Some aides are also warning against escalating tensions at a time when an analogous nuclear stand-off with North Korea worsens.